You're engaged and checking around at the traditional venues in town. You're most likely thinking, "Hmmm... can get a little expensive for a room." Sit back and give yourself a minute to think outside the box. There are many options available that might reflect your personal taste and style, cost less, and make a more memorable reception. A lot of residential communities offer recreation/party rooms. In fact, I did a wedding reception in a apartment party room once in the Southwest Waterfront area of Washington, DC. The couple saved so much! Let's start with their fee; it was just a few hundred dollars. The office included use of the attached kitchen, tables, and really beautiful chairs. To spruce it up a bit, I used white table cloths and went to the fabric store where I bought netting in three colors and used as overlays. I also used colored lights, made fat tulip bouquets for centerpieces, sprinkled contrasting colored petals around the rest of the table, and BAM! A few hundred dollars looked like thousands had been spent. It CAN be just that simple if the budget is really tight. Also, consider a house/backyard reception - really! Don't rule out the option because you may be thinking it to be cheap or corny. Even if not your own house, maybe a relative's or friend's whose backyard is spacious enough can be your wedding site. It does not have to be like in "Father of the Bride" (love the Steve Martin version). Think about it. What could be more personal and intimate? Dress it up by strategically placing floral designs, renting green plants, using simple, elegant dinnerware. These elements will truly transform the space when placed and coordinated just right. Lastly, local fire house halls, VFW's, and similar type organizations often are available for rent - and are often diamonds in the rough. They can be easily transformed into beautiful settings. A lot of these venues have plenty of free parking for guests and often offer lower alcohol prices and extended hours. If you are considering, perhaps, church halls, they now are not as strict as they once where. Some permit dancing and even a little wine and or bubbly. A word to the wise and something to consider: Be respectful as far as music at faith-based sites. While I love a little Trina and Two Chainz myself, church receptions won't be the right place for them; there are many acceptable alternate songs out there. (Smiling) Alcohol may be minimal - or nonexistent - here, but, WOW, your pockets would be a little heavier! (By the way, some of the best receptions I have done where ALCOHOL-FREE). Think creatively, think less is more, think it's your day, so it's all about creating something real that will last. Thinking outside the box can be challenging in finding your venue. However, it can create a meaningful, symbolic day no one will forget. Thanks for joining us! Today, we unveil what to check off your list at the 8-month mark from your wedding day. One of our fave wedding planners and feature bloggers Jeffrey Brown gives advice on accommodation booking, we chat more about your wedding dress, and we start getting your wheels turning for unique wedding registries. Enjoy! If You Haven't Already... Buy Your Gown! Your gown can take up to 6 months to receive depending on your salon and manufacturer/seamstress. Alteration time should also be accounted for, so give yourself a comfortable, stress-free window for needed adjustments. 8 months is the minimum lead time recommended by most professional planners and bridal dress boutiques for ordering your wedding gown. Jeffrey Brown, owner and lead planner of JaiLynn Events in Washington, DC, lets his brides and grooms know that blocking hotel rooms and locking in prices for out-of-town guests are important tasks to complete at the 8-month mark. This would all be in vain if our folks don't book on-time, so be sure to let critical guests know what accommodations are available to them ASAP - and definitely in the wedding invitation and/or website. Nowadays, there are a plethora of options for gift registries. You may opt for the popular wedding registry route, utilizing registries from hot spots like Target or Macy’s, or you can mix it up a bit! Today, brides and grooms are opting for honeymoon registries in which your guests contribute financially to your romantic getaway. Some philanthropic couples have elected cause-based gifting by allowing guests to donate to a meaningful charity, mission, or other non-profit in lieu of (or in conjunction with) the couple’s personal gifts. It’s your wedding - get creative! Regardless of the registry path you choose, I also recommend using a universal wedding registry system, like MyRegistry, that allows you to add gifts from any website - even big buying outlets like Amazon - in one convenient location. Until next time... Happy planning! In this Ultimate Wedding Timeline, I’m sharing what I walk through with my brides and grooms. We’ll use the timeline with key milestones to get you to wedding day ready! - Parents on both sides always have people they want present. Within reason, accept who can you - especially if they are contributing financially. - Talk all the money details over with your intended to make sure you’re on the same page (see “I’m Engaged! Now What?" blog). 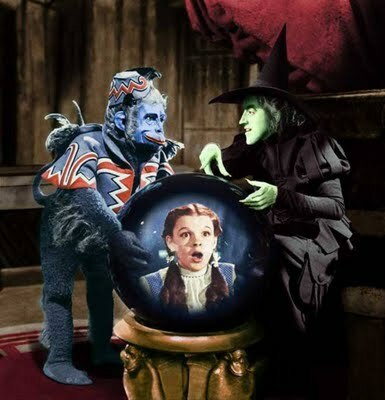 Meet with both sets of parents and other contributing parties to confirm who is contributing what before the bills descend like the monkeys from the Wizard of Oz on Dorothy! - Get your venues booked! While on the hunt, keep in mind that venues set the tone, size, and cost. Be sure they can accommodate your guest count. - Venues can affect your color scheme. I recommend choosing 3 colors, 2 primary, and an accent that go well with your sites. - Your wedding day timeline (and wedding vendor travel) can be affected depending on the distance between your two venues. Make sure the distance is not too much for you and your guests and that it won't increase your fees to vendors later. - If your venue is not for lodging, check with the venue on nearby hotels to accommodate out-of-town guests. You may want reserve a block of rooms. - Parking, public transportation, handicap accessibility, and security are important considerations for your guest. Check with the venue or your wedding planner on these items to make sure proper accommodations are made. Stay tuned for the 10-month prep to help you stay on-track with your wedding date! How many of you have heard this before? We all have classroom memories of that kid who’d say, “That was so DUMB!” usually after a well-meaning student asked his teacher a question. Well, when it comes to planning - and paying for - your wedding, there are no dumb questions! When conducting business with potential vendors, ASKING IS KEY! Today, Jeffrey Brown of JaiLynn Events is hooking our readers up with critical topics to hit before you book a wedding professional or venue! If you have already booked vendors, make sure you know their answers to relevant items on this list. “When shopping for vendors, ask questions - no matter how silly they may seem. - Get everything in writing - EVERYTHING! - Know cancellation and postponement policies. - What are the fees if changes are made after the initial contract is drawn? - What are delivery and set-up charges (if applicable)? - Know guidelines for returning rental items. - Get primary contacts from each vendor, and try to always use those people. - Discuss alternate ideas and less expensive alternatives (if possible). - Confirm deposit amounts, payment options, and the date final payment is due." Posing these questions will help you avoid potential hiccups and lead you to some very practical, educated decisions, so ask, ask, ask!